"Humour coupled with inspirational words are the key things in Martin’s talks to his teams. There is no such thing as a typical O’Neill talk as he varies them to suit every occasion, but he never does anything less than encourage you to play your best, and he does it with a bit of wit." The journey from studying law at Queen's University Belfast to manager of the Republic of Ireland national team is a unique one. It comes via an extensive playing career-a First Division title, two European Cups, a Super Cup, captaining his country - honours that ultimately saw a progression to management. As a manager Martin O'Neill enjoyed similar success, securing FA Trophies, a Leagues Cup, Scottish Premier Leagues and a UEFA Cup Runners up medal. Yet across his career a picture emerges of a style of management that is becoming increasingly scarce amongst elite coaching. But I tell you, he knew his players, you knew where you stood with him. If you played well for him, the confidence he'd give you, the way he could make you feel, you'd just want to run even more for him afterwards. Across football, the training ground coach has become a staple. Pep Guardiola, José Mourinho, Antonio Conte, Spain's Julen Lopetegui, Germany's Joachim Löw. They are a generation of man who instinctively cement themselves into practise, trying to create a clear structure to reflect their philosophy. What is Martin's biggest strength? That's simple. Players want to win for him and that is not the case with every manager. Martin is one of those managers that players will go the extra mile for and that is why he has enjoyed such a successful career over so many years. Motivation, persuasion and bollocking. 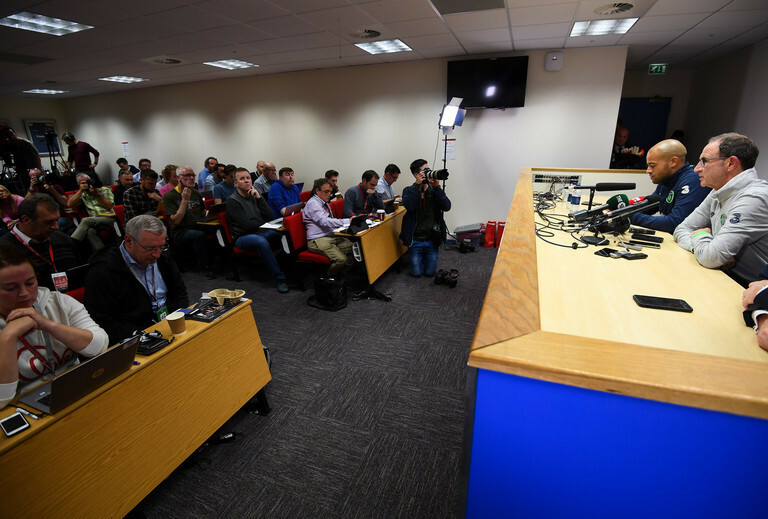 Media briefings and positive working environments. These aspects of O'Neill are reoccurring themes. When discussing the treble he secured under O'Neill at Celtic, Neil Lennon said "Henrik had led us on the field, but above all it was Martin’s commitment and intelligence which had inspired us to become champions and cup winners." His staff deal with the technical side of things, a feature Roy Keane certainly enjoys when working with O'Neill. The beauty with the Irish job is that I can hone in on the matches and the players on the pitch and not get bogged down by off-the-field stuff. It seems O'Neill's concern is the entire operation. This is something that stems from his early days as a club manager. He looked after everyone and he cared about everyone. He cared about the lady in the laundry, the kit man, the cleaner, all of those who weren’t on big salaries… there is at least one occasion when Martin handed a laundry lady £100 straight after fining a player. He treated them as part of the team. We knew he’d sign people on. One of them was the coach driver who had a heart attack. Obviously, he worked for the coach company, but next thing the board knew this coach driver was working down at Beaver Drive as the second kit man. They (the board) were saying “Why do you need two kit men?” they found out that the players were basically paying his wages. The manager didn’t actually say much to be honest with you, he kind of just read out the team and we were trying to figure out where everyone was playing. When he read the team out a few of the lads were saying ‘are you playing off the striker?’ and I was like ‘I think I could be’. But then Steve Walford comes around and he gives you the set-pieces and how the shape is going to set up. Obviously as we got closer to the game I realised that I was playing there and it was another challenge. This is in O'Neill's nature. He once spent an entire pre-season with Leicester practising 4-4-2. Two days before the start of the season he signed Kasey Keller and Spencer Prior and on the opening day switched to 3-5-2. A deliberate ploy that fits with his philosophy. "He liked to keep us guessing" Lennon said. It's well documented he doesn't do much team shape or organisational stuff, that's just the way he is. That's his management style, probably going back to what Brian Clough did to him and he's took that on to his management style. Ireland won't go through the normal preparation the players are familiar with at their clubs ahead of their upcoming play-off. Given explained it's not O'Neill's style. From a team-shape point of view, for example we're playing Denmark. What is their system? Normally when the lads meet up, the first couple of days you'd be doing team shape and walking through stuff. This is how they play, Eriksen likes to drop into the hole. Schmeichel gets to the back, he wants to zing it early up front and how to counteract that and all this kind of stuff but we don't. He won't. With the first leg of Ireland's play-off looming, his tenure up until this point should be qualified as a success. Qualification for a major tournament was the be-all and end-all, and O'Neill delivered. However his reign has been marred by certain flash points: An apparent disdain for post-match interviews; under-utilisation of Wes Hoolahan; a crass joke that included a homophobic remark. There is certainly a rage in O'Neill. Lennon repeatedly references his anger in his autobiography. It regularly threatens to rear it's head in his barrages with RTE's Tony O'Donoghue as well as other figures in the media. Former chairman of the Football Writers Association, Alex Montgomery, tells a stunning tale of an O'Neill interaction with the press while Celtic manager. In a bid to mend tetchy relations between the press and Celtic management, O'Neill organised a press v club match during a pre-season trip to Austria in 2002. The press turned up, but had struggled to get enough players and thus recruited an Austrian ringer. O'Neill would not accept this and demanded he leave. Later a journalist protested that Celtic had an extra-player, which prompted O’Neill to launch a fiery "swearing and cursing" rant towards one reporter in particular. It was an enlightening experience for the reports. They saw O’Neill the bully, the control freak, the man who must be obeyed, the man who must win at all costs. Looking at his term with a cold objectivity, his side's footballing style often resembles that of his much-maligned predecessor, Giovanni Trapattoni. Yet there is distinctly different demeanour about this side. O'Neill instils that. He is more pron than Trapattoni to make changes to his starting 11 and more likely to call up fringe players, if for no other reason than have them interact with the squad. It turns out O'Neil's real triumph has nothing to do with the football. In fact, it's despite the football. The dread of watching this Irish team is gone. Victory over Germany, qualification, Brady's goal; O'Neill has produced enough emotive moments that the pessimism surrounding Irish football has dissipated. We've succumbed to the journey. It might still be dull, still devoid of any real excitement other than James McClean cascading into a tackle but it's our dull, our James McClean cascading into a tackle. 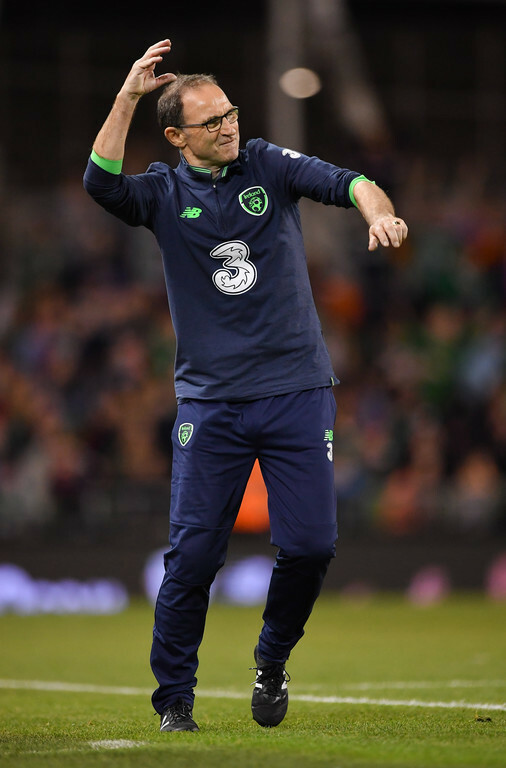 Martin O'Neill's greatest achievement as Ireland manager is what he always does. He motivates, both the player and the fan.